It is common for homeowners to focus their resources and everything else on keeping the interior as clean as possible. This is understandable. What is not understandable is the unwritten rule that says the roof does not need any sort of cleaning. In case you never knew it, the roof collects dirt, dust, leaves, water and all manner of debris. With time, the debris can damage the roof, thus forcing you to spend money on repairs and replacements. That is probably the time you will be wondering why you never took the time to clean the roof shingles properly. First, you need to understand your limits. Some things are beyond your control. For example, the harsh conditions your roof is exposed to – such as rain, heat, sunlight and snow – are beyond your control. However, things that grow on the roof shingles – such as mold, algae, and mildew – are perfectly within your control. Therefore, it is your duty to keep the roof clean and free from the growing things. Plants should not grow on the roof – not unless you deliberately decide to plant a roof top garden. But even then, you must grow the garden with a bit of wisdom. Many people make the mistake of cleaning roof shingles using pressure cleaning equipment or method. This is not appropriate for the roof. 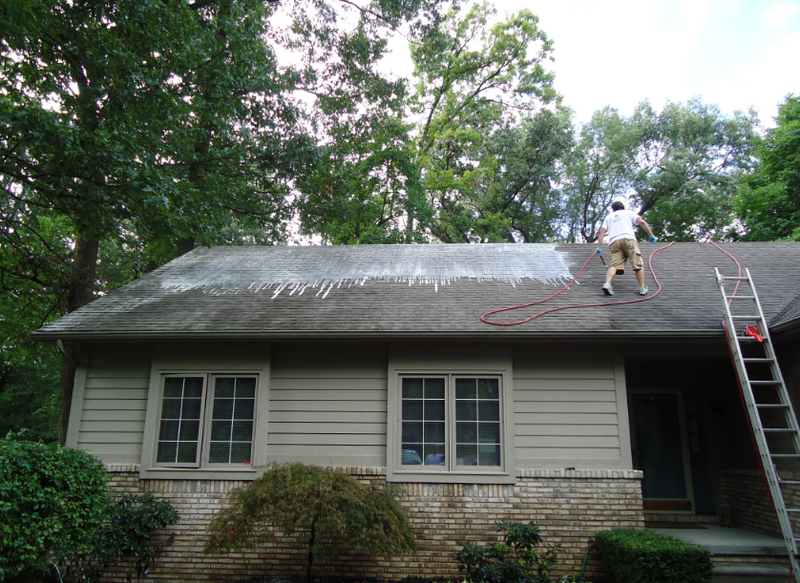 Pressure cleaning is capable of loosening the shingles, thus leading to one more problem for you to solve. Roof shingles can be as clean as you want them to be while using nothing more than a broom with which to scrub it. For better results, you also need some cleaning solution (preferably eco-friendly cleaner) and a garden hose. It is alright to make your own cleaner with water and chlorine bleach in the ratio of 3:1. Wear safety gear before you begin cleaning the roof shingles. Gloves, goggles, and slip-proof shoes are highly recommended for protecting hands and eyes. A sturdy ladder is mandatory, as you need it when climbing or descending from the roof. If everything you need for the task is ready, your next task is putting the mixture in a pump sprayer. Next, begin spraying the roof while taking care to saturate it well. Standing at the roof’s peak is the right thing to do. It gives you a better chance of working in sections so that every portion is cleaned properly. Start cleaning from the lowest parts while working your way up the roof gradually. This is a good strategy to keep you off the wet parts of the roof, which are quite wet at this point and can cause you to slip. After spraying a single section, give it around 20 minutes to dry before you go to the next. With the broom in hand, use it to scrub the dirtiest parts of the roof. Some dirt will not come off no matter how much spraying you do. While scrubbing is recommended, do not do it too aggressively lest you loosen the shingles and damage their granular surface. Finally, take your garden hose and use it to rinse the cleaner off after it has settled for the allotted time. Be careful and patient to remove all the chlorine bleach or cleaner off. Otherwise, it will damage the clean roof with time. Follow this guideline to clean the roof by yourself without hiring any professional roofer. 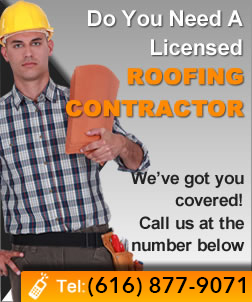 Nonetheless, hire a roofer if you are too busy or unable to do the cleaning yourself. Whatever you do, avoid using the pressure cleaning technique. Use the approach featured here to avoid damaging the roof.